Cage Fury Fighting Championship (CFFC) is a big promotion on the Northeast where Brady holds the Welterweight title, with one successful defense already. Brady does a bit of Muay-Thai under the well know Rami Ibrahim, and some boxing under Derek Ennis to really sharpen up his stand-up, which compliments his top-notch ground game. With a brown belt in BJJ, Brady is fluid on the mat with control, and even though he only has one submission, Brady is a major threat on the floor. Brady just might be a shoe-in for the UFC this year. Over the span of October 14, 2017, to December 23, 2017, Soldic made a huge name for himself beating the Cage Warriors veteran Lewis Long and KSW champion Borys Mankowski. Before those two fights, Soldic was a virtual unknown and now might be the breakthrough prospect of 2017. Soldic is always coming forward and always looking for the finish. Soldic has heavy hands and a very accurate head kick, which he has dropped so many opponents with. It’s the constant volume Soldic throws that allows him to do so well. He’s always throwing punches behind kicks and visa-versa. Soldic is the real deal. With two fights left on his KSW contract, an opportunity to join the UFC might present itself. 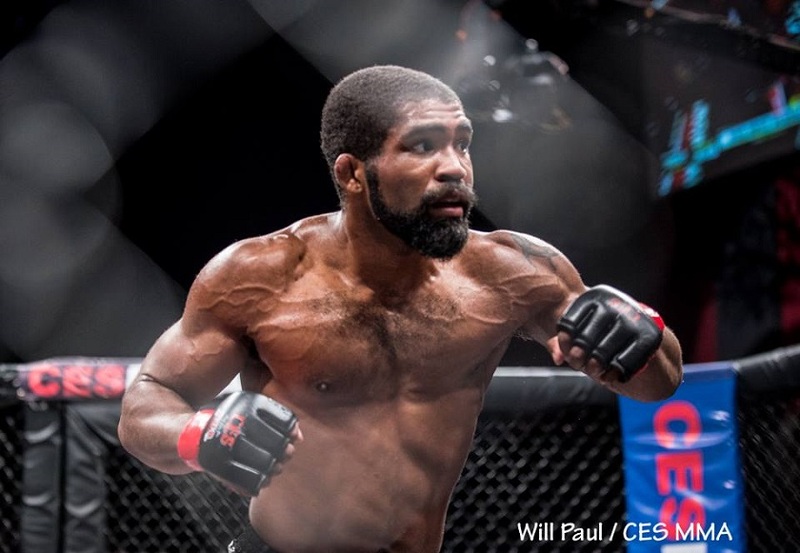 Talented fighters that have not been able to find a finish find it hard to earn UFC deals, just ask PFL Featherweight Champion Andre Harrison. Nakashima went the distance fighting a total time of those hours and 10 minutes, which shows some outstanding cardio, with only one decision going to a split. Nakashima is starting to become more of an aggressive fighter coming forward and creating more action, although he is still more of a counter-striker for the most part. Wrestling-wise Nakashima is skilled, and his position grappling is where he excels. Nakashima trains with the MMA Lab, an excellent camp with almost every fighter performing as well-conditioned athletes. Lohore is the current BAMMA Welterweight Champion and with two fights left on his contract, the UFC could make a move if he comes out as a winner in both bouts. Lohore is set to defend his title March 9, 2018 against fellow prospect Terry Brazier (8-1) and a win there will only improve his already impressive record. Lohore is a good striker, highlighted by his right-cross, but is better on the mat. With solid wrestling, he gets opponents down. Most of his finishes are on the mat using submission threats to open up his beat weapon, the ground-and-pound. If Musaev was to sign to the UFC, he would only be the second Azerbaijan native to fight in the UFC with the other being a up-and-comer Ramazan Emeev. Musaev hasn’t fought that good of competition but he is scheduled to fight February 24, 2018 against Zurab Betergaraev (13-2-2), who is a solid fighter. It’s a fight to really show how good Musaev is. At a 100% finish rate, Musaev is good everywhere as he has the striking with the knockout power, combinations, and counter-striking along with some decent wrestling and some effective ground-and-pound. With Italy’s Alessio Di Chirico and Marvin Vettori doing so well in the UFC, Pedersoli could be the next Italian to make his Octagon debut. Pedersoli has a background in grappling as he competed in the No-Gi Italian Open 2017. Pedersoli has four submissions, as expected with the grappling background. Pedersoli does have good striking, displayed through head-movement and counter-striking and also has a background in kickboxing as well. Although it’s his strong wrestling where he does his best work. At only 24, Pedersoli’s chance to get to the UFC just might come this year. Willis has fought some stiff competition lately and has passed with flying colors. His toughest test to date lies ahead however as Willis is set to fight DWTNCS alum Kyle Stewart (9-0) in a very important bout. Willis is quite athletic and a top-notch wrestler. On top he has the control, the transitions, and the ground-and-pound to excel. Willis is everything you want in a fighter, especially in terms of wrestling. On the feet, he does hold a lot of power in his hands. As he still has some things to learn but he’s a few more wins away from a UFC call-up. Stewart is an accomplished guy on the regional scene winning titles in the amateur scene and winning two titles in his pro career. Stewart was also a competitor on the Dana White’s Tuesday Night Contender Series last summer where he beat the well-known Jason Jackson via second-round TKO. Stewart is solid as expected from the experienced grappler showing lots of skills on the mat. He has slick jiu-jitsu going for submissions but his passes and transitions are what shines most. Also on the mat, Stewart has big ground-and-pound putting opponents away with it in the past. Striking-wise, he favors his right-hand he has the one punch power and stays active but yet pretty accurate. Stewart is set to fight Jaleel Willis who is listed above and with that win, Stewart could easily be signed. 6 KO/TKOs, 3 Submissions (2 triangles, 1 armbar) | Combined opponents record – 40-23 | Best win – Eulogio Fernandez (10-7). In the last eight fights, Pietrini went 5-2-1 with both losses to rising Italian UFC star Marvin Vettori, who Pietrini did beat in their amateur days. Pietrini did have a big chance against the well-known veteran John Maguire in the main event of Venkon Fight Night 2 but had to pull out to injury. Read more on that from MMA Today’s own Stefano Summa. Once back from his injury and another win or two, a Pietrini signing at the end of the year is possible as he is really well-rounded and one of Italy’s best currently.